We had the pleasure recently of working with an exciting new clothing brand based in St.Andrews in Fife plus a Michelin Star holder! Tom Morris clothing is inspired by the heritage of Tom Morris himself, their clothes are designed with his extraordinary achievements and charismatic personality in mind. A sporting icon yet above all, a gentleman. The brands flagship store was originally opened by Tom himself in 1866. It has been carefully restored unearthing original features, including the flagstone floor and brickwork, which add to the authenticity and lineage of the brand as well giving customers a truly unique retail experience. The brand is all about supporting and championing great Scottish talent in all walks of life. Enter Tom Kitchin, who became the youngest winner of a Michelin star and has worked under several Michelin starred chefs including Alain Ducasse and Pierre Koffmann. Tom is an admirer of the new clothing brand and upholds their philosophy of being proud to be Scottish and championing all we have in here, from sport to food and more. Tom Morris caught up with Tom to find out more about his lifestyle and philosophy. 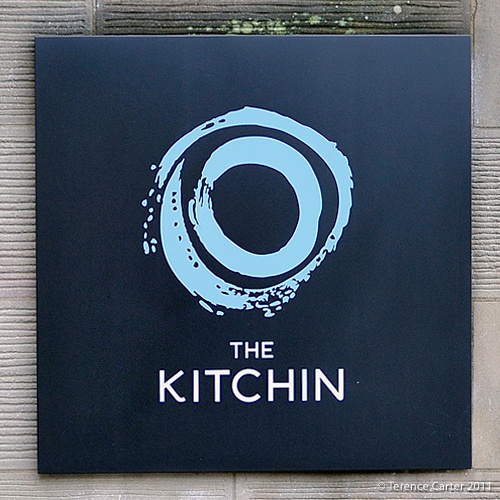 Check out The Kitchin Restaurants website for more info or to book a table.